A key cost component to manufacturing is the premium paid for workers' compensation insurance. 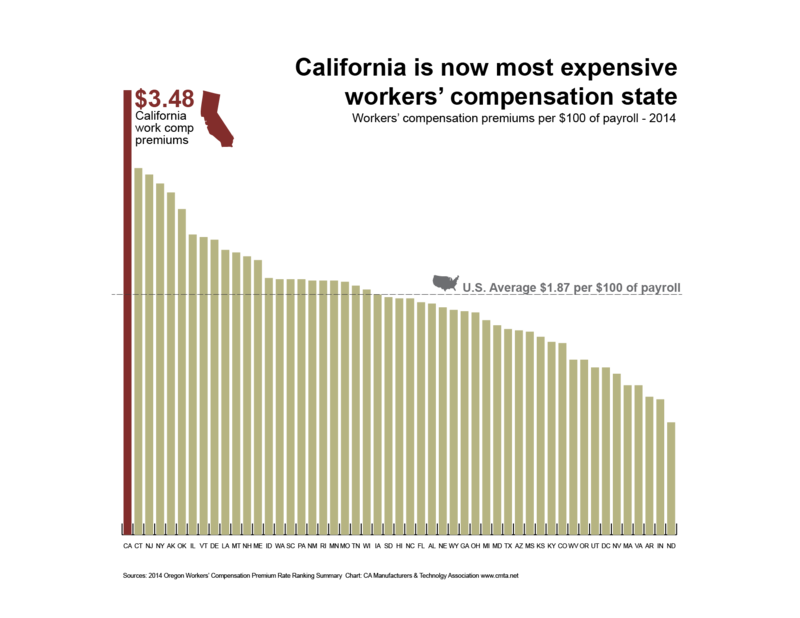 California reformed its system in 2012 with SB 863 to try to increase benefits for permanently injured workers, as well as reign in high costs. At the time, we had the fifth highest premiums in the country. According to workers' comp experts the SB 863 reforms would create approximately $1.50 in cost savings for every $1 in benefit increases. This week we took a look at the trend in premium rates for California versus the country from 2010 to 2014 to see if costs were becoming more competitive. 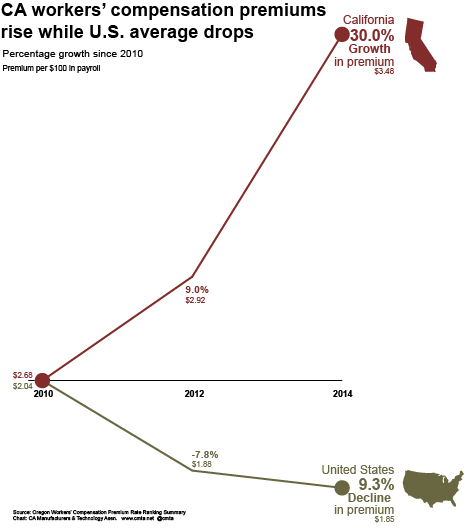 It looks like California premiums continue to rise while the national average continues to drop. 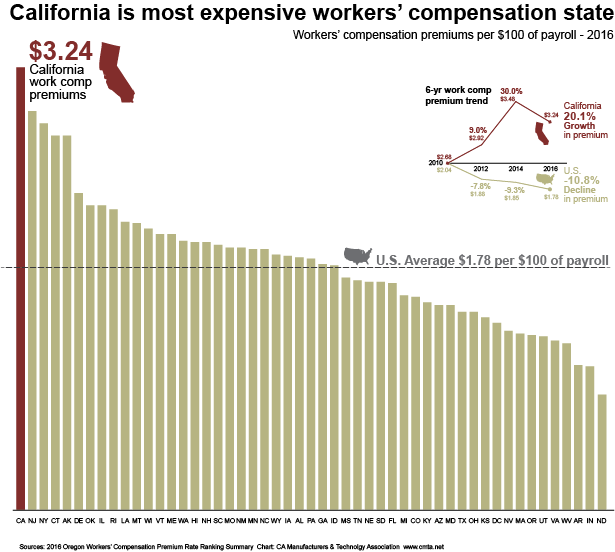 According to Oregon's 2014 Workers' Compensation Premium Rate Ranking Summary, California now has the most expensive premiums in the nation. The state averages $3.48 per $100 in payroll -- a full $1.61 higher than the national average of $1.87. You can see how each state stacks up in CMTA's chart below. You can see the write-up by CMTA's Michael Shaw here.